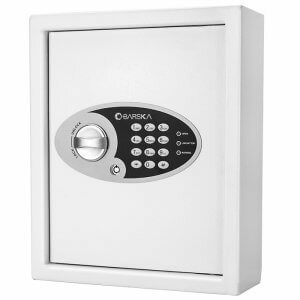 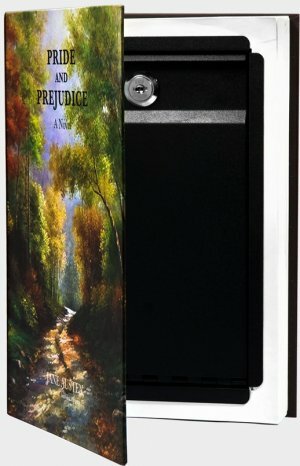 Keep valuables secured with the Fireproof White Keypad Jewelry Safe by Barska. 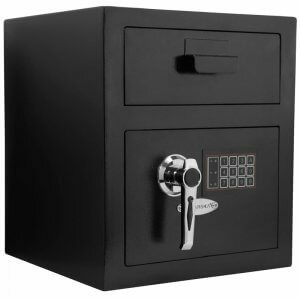 This attractive safe is constructed from solid steel and has been designed to provide fireproof protection to the valuables inside. 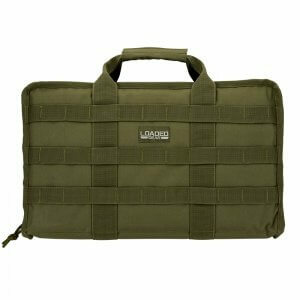 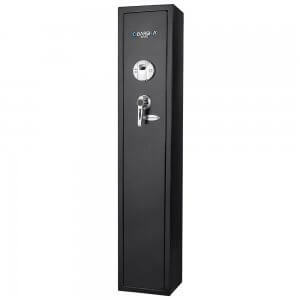 A digital keypad retains one PIN code and allows authorized users to quickly access their belongings inside. 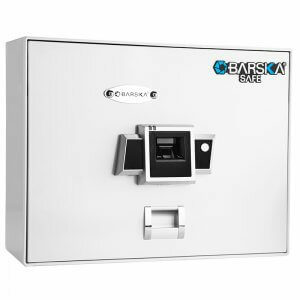 The Barska Jewelry Safe also comes with 2 back-up keys that can be used to access the safe via the lock located behind the digital keypad. 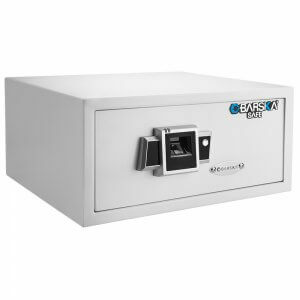 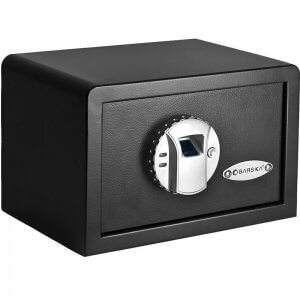 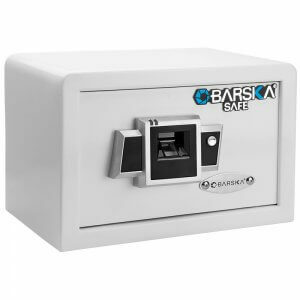 The 1.01 Cubic Foot Fireproof Jewelry Safe from Barska offers exceptional protection for your valuables. 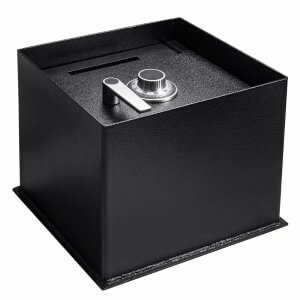 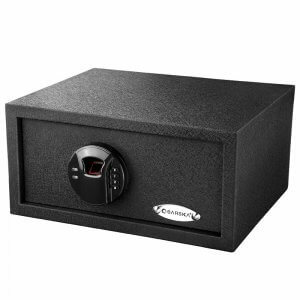 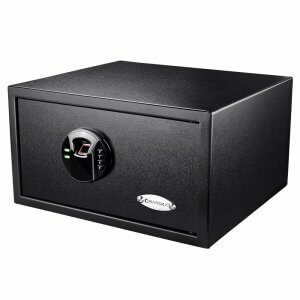 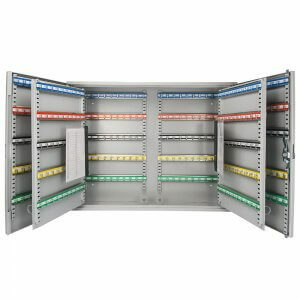 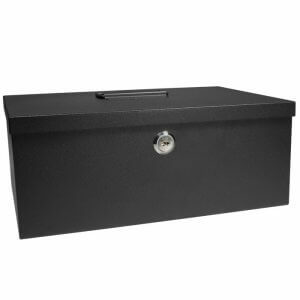 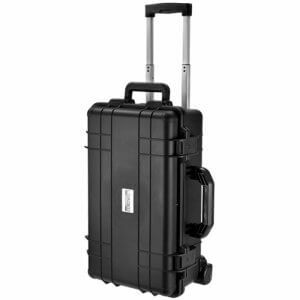 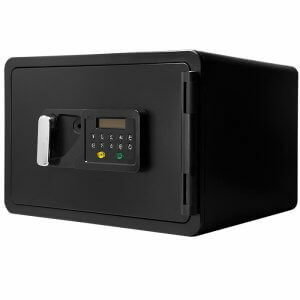 With 3 solid steel locking bolts and thick fireproof walls, this secure safe is fireproof rated for 30 minutes at 1,500° F. The 1.01 cubic feet of storage space is perfect for storing valuables such as jewelry, money, passports, collectables, and small electronics. 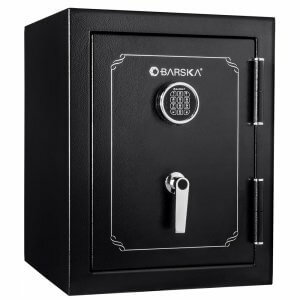 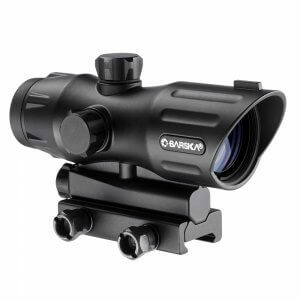 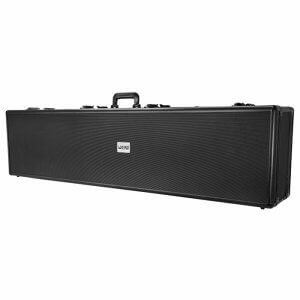 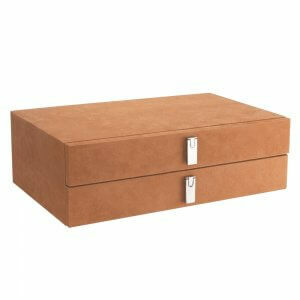 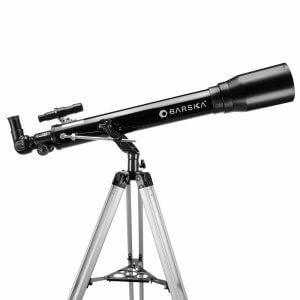 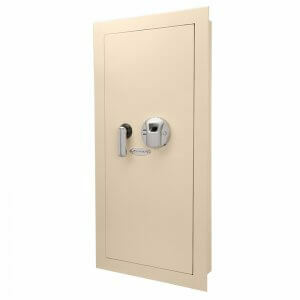 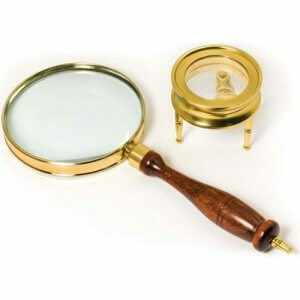 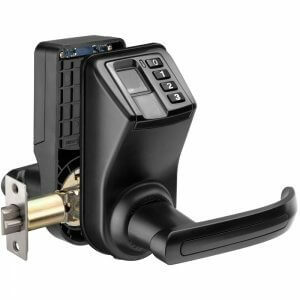 The Barska Fireproof Jewelry Safe comes with mounting hardware and two traditional back-up keys.